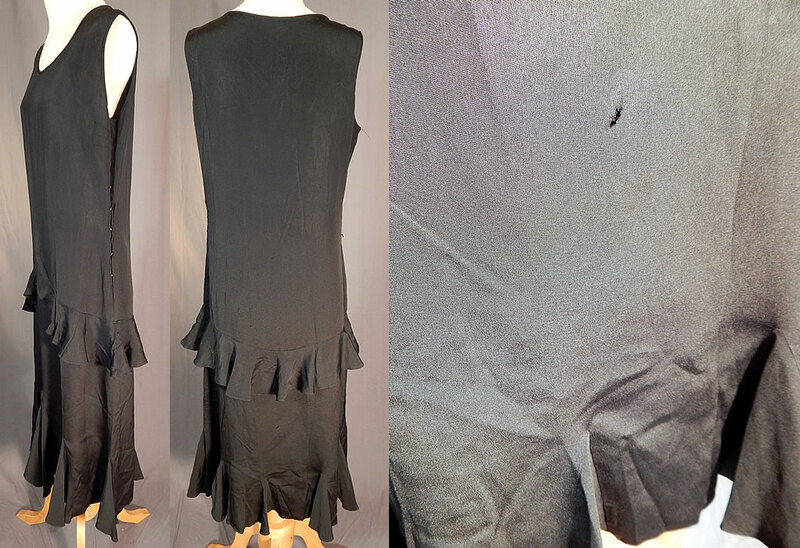 This vintage black silk crepe de chine ruffle bias cut sleeveless cocktail dress dates from the 1930s. 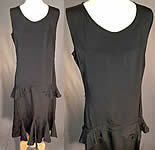 It is made of a black silk crepe de chine fabric. 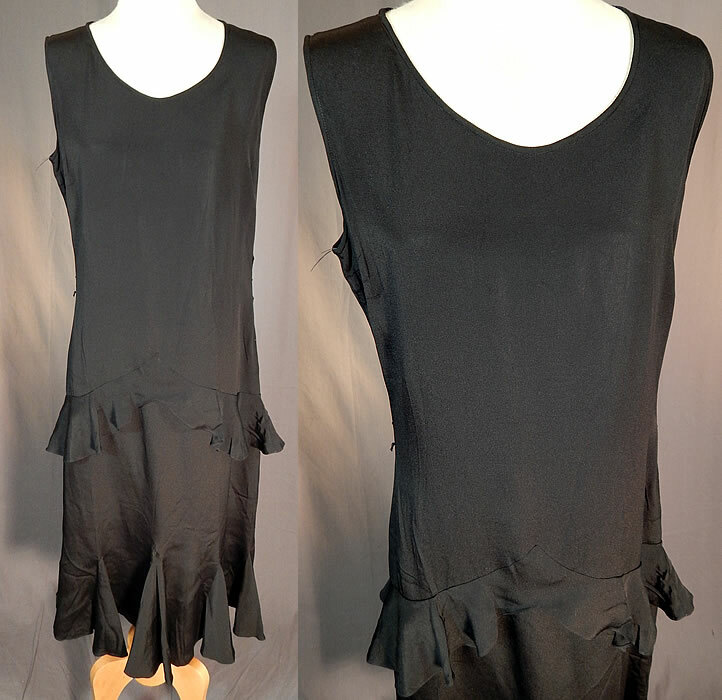 This beautiful black bias cut cocktail dress is a shorter mid length, with tiered ruffle flounce trim on the skirt, sleeveless, side snap closures and is unlined. The dress measures 44 inches long, with a 30 inch waist and 34 inch bust. It is in fair as-is condition needing some restoration and would be great for design. There are a few tiny pin holes scattered, a small frayed hole on the bottom back skirt and on the front bottom ruffle pleat (see close-ups). This is truly a wonderful piece of wearable art!